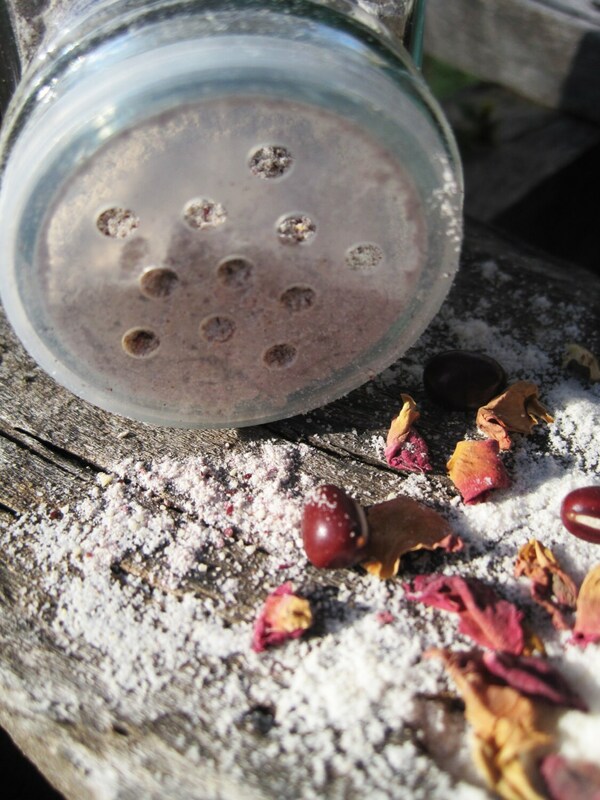 Exfoliate gentle facial skin to reveal a more radiant complexion with these incredibly softening cleansing grains made with rose petals and azuki beans. Rose, the icon of love and beauty beholds moisturizing, astringent, and anti-viral properties. The fragrant flower tightens pores leaving you with a glowing, dewy complexion. An excellent source of antioxidants, namely vitamin C, rose can help diminish the signs of aging and help protect skin cells from damage. The natural oils found in roses helps lock moisture in and are especially calming for sensitive skin. 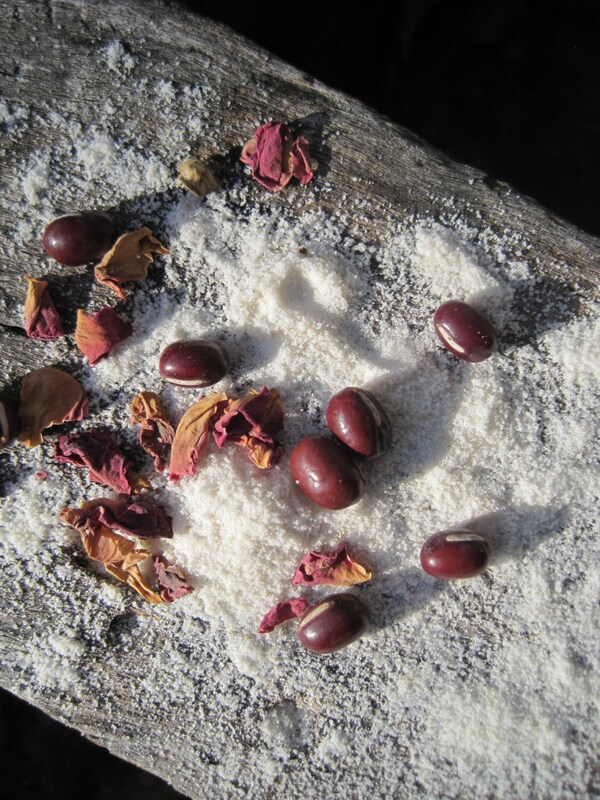 Azuki Beans, an ancient secret for flawless, ageless complexions, are finely ground to buff away dead skin cells and aid in new cell regeneration. Azuki beans also contain saponin which is a natural cleaning and foaming agent to wash away the stresses of your day. Rose Absolute essential oil and Geranium essential oil have also been added for their age defying properties. Geranium has an amazing amount of benefits. It is a cicatrisant, which means it helps scars and spots to vanish, as well as promoting blood circulation to the surface of the skin and regulates the distribution of melanin for smoother, even skintone. With its astringent properties, geranium also tightens skin and prevents sagging for a more youthful appearance. It smells super good too! Organic Oat flour is used as the base of this amazingly skin smoothing exfoliator to decrease redness and inflammation and gently cleanse sensitive or mature skin. For ages, oats have been recommended for a number of skin conditions. Oat flour softens and moisturizes your skin, reducing the appearance of wrinkles. 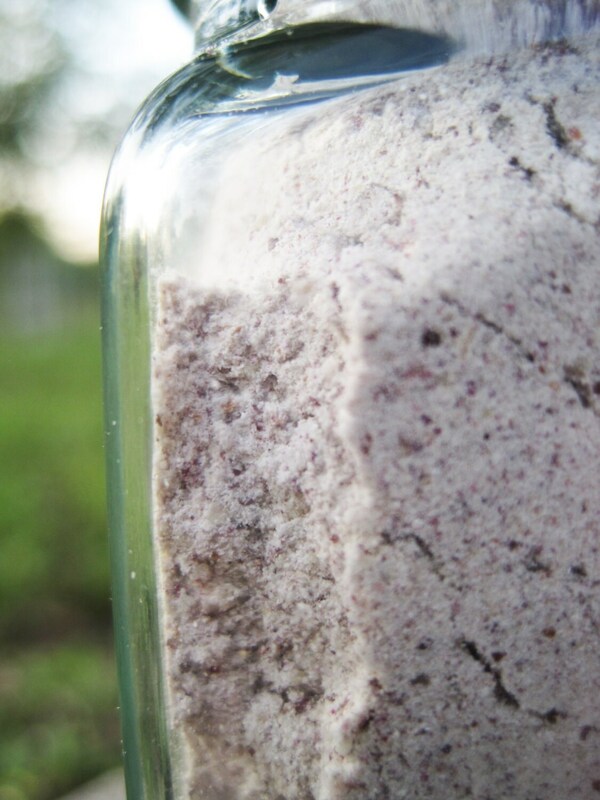 You can also use oat flour to minimize scarring from acne or chicken pox. Oat flour may also help alleviate itchy and dry skin. Product offered is approximately 2.5 oz contained in a recyclable glass jar with a shaker fitting for ease of application. 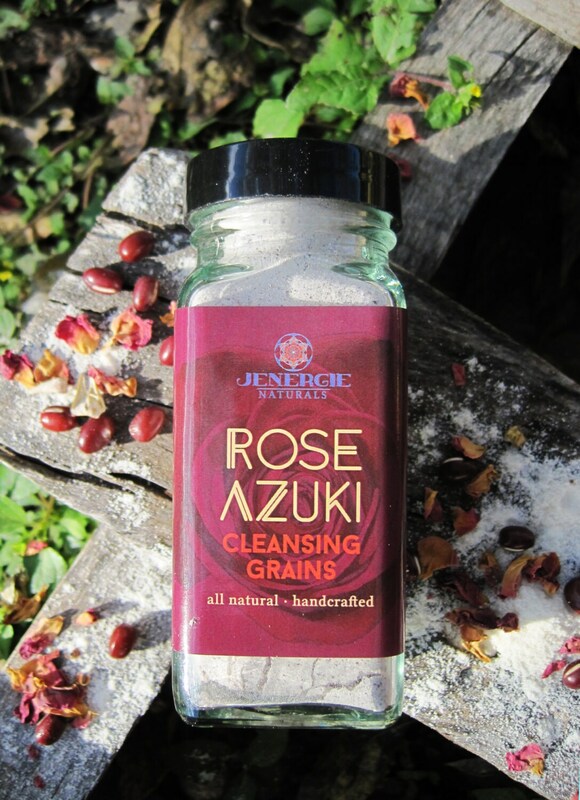 To use Rose Azuki Cleansing Grains: Place a quarter sized portion of grains in your palm and moisten with water or oil of your choice (perfect supplement for oil cleansing routines) to desired consistency. Rub product into your skin using circular strokes and then rinse off for super soft clean skin. To use Rose Azuki Cleansing Grains as a fortifying mask: Place a silver dollar sized portion of grains in your palm and moisten with liquid of your choice (yogurt, avocado, honey are just some ideas) until it reaches a paste-like consistency. Smooth mixture onto face in upward strokes. Let the botanicals work their magic for 10-15 minutes and rinse off. Voilà!